The Ergonomically designed D-grip for comfortable use over long periods. 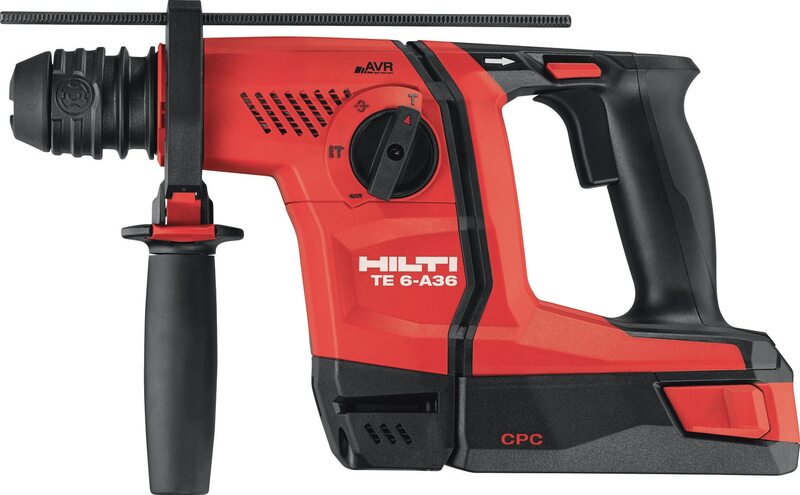 Robustly built and superbly engineered for cordless optimization. Excellent performance and best battery capacity for a tool of this weight. Outstanding working comfort thanks to AVR Active Vibration Reduction. Virtually dustless drilling with the DRS-6-A dust removal system.